Please complete, sign, and return the credit card form below to make a remote credit card payment. Please check the appropriate box if you’d like us to keep your credit card on file. NOTE: A 2.8% processing fee applies to all remote credit card transactions. Please make credit card payment in person to avoid this fee. 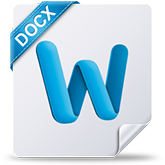 Click on the Pdf or Word icon to download Alpine Credit Card Payment Authorization.